Do you live outside of the continental U.S., and are you interested in adopting embryos? It may be possible even though you don’t live here. In 1997, Nightlight pioneered the first embryo donation and adoption program in the world and named it the Snowflakes Embryo Adoption Program. This exciting adoption choice allows couples to donate remaining embryos, and for others to receive them and give birth to their adopted child. 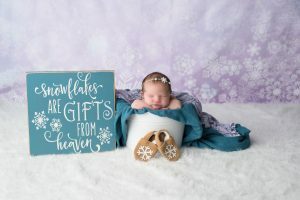 All of the embryos matched with adopting families in the Snowflakes program were donated by families who originally created them for their in vitro fertilization (IVF) treatments. The embryos remain in storage until a disposition choice is made by the family who owns them. These embryos are waiting for a loving home, and a chance to be born. As an adoptive parent, you receive autobiographical information, three generations of medical health history, and pictures from the family whose embryos you adopt. You adopt all the embryos a family has, they won’t be split up among multiple adoptive families. Snowflakes also specializes in offering a range of options for ongoing communication with the genetic family. Over 600 babies have been born through the Snowflakes Program, and dozens of families are awaiting a loving couple to adopt their embryos. We invite you to explore our program information for adopting parents and contact us so we can help you determine if our program is the right fit for you. Are there any extra considerations for adopting embryos when we live internationally? The Snowflake Embryo adoption program is available for people worldwide. Like all of our adopting families, prior to being matched with embryos, you will complete an adoption home study. You may do this locally, or Nightlight offers a Snowflakes Family Evaluation to fulfill this requirement and one of our staff will travel to your home as a part of the evaluation process. 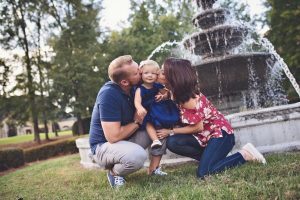 We do require you to complete education regarding embryo adoption, such as talking to your kids about their unique story. Travel to the U.S. is required for your Frozen Embryo Transfer (FET) procedure, as shipping embryos through customs has proven difficult, risky and expensive. We have several preferred partner clinics that have been a great option for international families. You may wish to consider our clinic in Illinois, where they have translators on staff, or opt for faster travel with our partner clinics in Hawaii, California, or Florida. We have over 30 clinics we work within the U.S. Perhaps you have friends or family in Colorado or Texas and can plan a vacation with them! What does the medical process look like? Most couples are able to do the majority of the medical prep at a local fertility clinic, using their current medical coverage. However, you will need to travel to the Snowflakes partner clinic of your choosing in the U.S. and with most of our partner clinics, plan for at least two trips. Your first visit will be for an initial check-up, and the second for your Frozen Embryo Transfer (FET). Since the FET will occur in the U.S. this cost will in addition to your program, home study and medical fees. We will match you with a placing family who will gift you with all of the remaining embryos they have to place for adoption. In many instances this allows our adopting families to give birth to genetic siblings over time. There are no extra program fees if you desire to be matched with a family who has a larger set of embryos. The clinic will charge per FET, and will commonly transfer up to two embryos at a time. If you are interested in adopting embryos through Snowflakes or you simply want to learn more, contact one of our Snowflakes Inquiry Specialists either by emailing info@Snowflakes.org or by completing our inquiry form.Our Inquiry Specialists will explain the details of the Snowflakes program and help you determine if embryo adoption is the right choice for your family. Nightlight’s YouTube page has plenty of stories to get you started. Listen in as placing and adopting families share their stories, and talk about their decision to work with Snowflakes. The adoptive family mentioned in the video above, Bert and Kryna, were an international family when they adopted their embryos from Tom and Anabelle! Now they have three kids! Snowflakes costs break down into three different processes. Keep in mind that some of these can be managed in your country, and may have a different cost than those that will be handled in the U.S. We recommend using a currency calculator to get a better overview of your total costs, and remember that currency rates can change over time. Home Study Costs: Estimated between $1,500 to $3,000 USD but may vary if you choose to use a local home study provider in your country. Your home study may need to be professionally translated if it is not written in English. Clinic costs/FET: Estimated between $3,500 to $6,000 USD depending on the Snowflakes partner clinic you choose to work with. Medication costs may not be included and can be managed in country, using your current medical coverage. The full cost tends to range between $13,000 to $17,000 USD. Travel costs should also be considered. If you choose to be matched with a larger set of embryos, you may want plan on multiple FET’s. Your Snowflakes Inquiry Specialist will help break down the costs to find a better estimation based on your overall plans, and the clinic you select. We have a variety of recorded educational webinar topics you may find helpful as you consider adopting embryos, or placing embryos with an adopting family. Embryo Donation- I want to place embryos with an adopting family. We understand the difficult decision parents are faced with when they realize they have embryos they don’t plan to transfer. There are programs in the U.S. which will allow you to donate your embryos for reproduction. You created your embryos with the full intention of giving them life. Embryo donation is the choice that gives your embryos an opportunity to live. There is an organization in Florida who is willing to work with international families with remaining embryos.